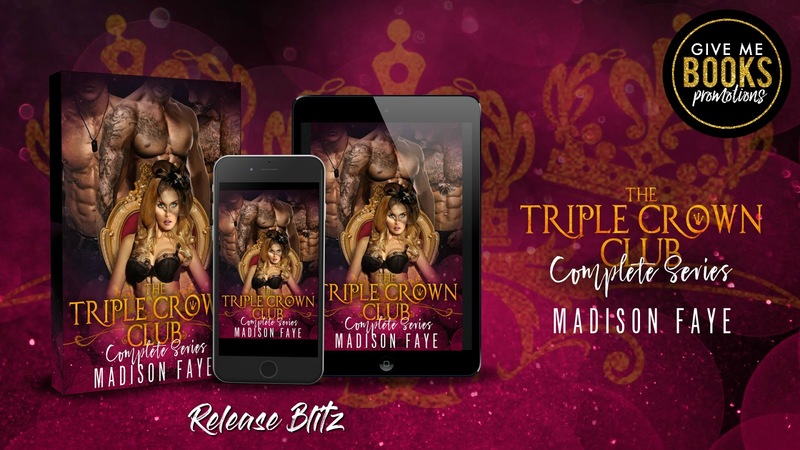 Welcome to the Triple Crown Club – the filthy, dark, secret playground of the royal elite. A place out of whispered rumor, where the powerful and royal come to indulge in the ultimate fantasy: a place where three princes share onelucky girl. This complete collection of modern fairytales includes Royally Shared, Royally Claimed, and Royally Tempted.Three times the completely obsessed alpha hero, three times the over-the-top fantasy, and three times the kindle-melting insta-love. Hot, sugary-sweet, wildly unrealistic, and alpha to the max. This mfmm romance is all about her – no m/m. Safe, no cheating, and a HEA guaranteed.